MARYLAND OFFICE COFFEE SERVICE COMPANIES! 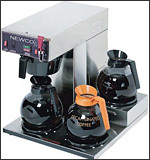 MARYLAND Coffee Break Refreshment Service Suppliers for your breakrooms in Maryland state. Please contact them directly for more information on the coffee delivery service & coffee products they provide. with complete Coffee Service- Plus! 24 hour service, Weekly deliveries, Coffee sampling and more!! We are Located in Maryland. Executive Coffee – Let your clientele and employees know how valuable they are to your business by providing them with the accommodation of a delicious cup of coffee, beverage or snack. Executive Coffee Service- Maryland –is dedicated to providing the finest customized office coffee service, tailored to meet any budget! View coffee machines on: www.excoffee.com. Peakland Coffee– If you want your organization to provide truly superior customer service, please consider treating your employees in a distinct superior way. Treat them to Peakland Coffee Service and they will feel truly special and appreciated. Laurel, Maryland. Royal Cup Coffee – OCS – Office Coffee Service for all of Maryland – contact us today!